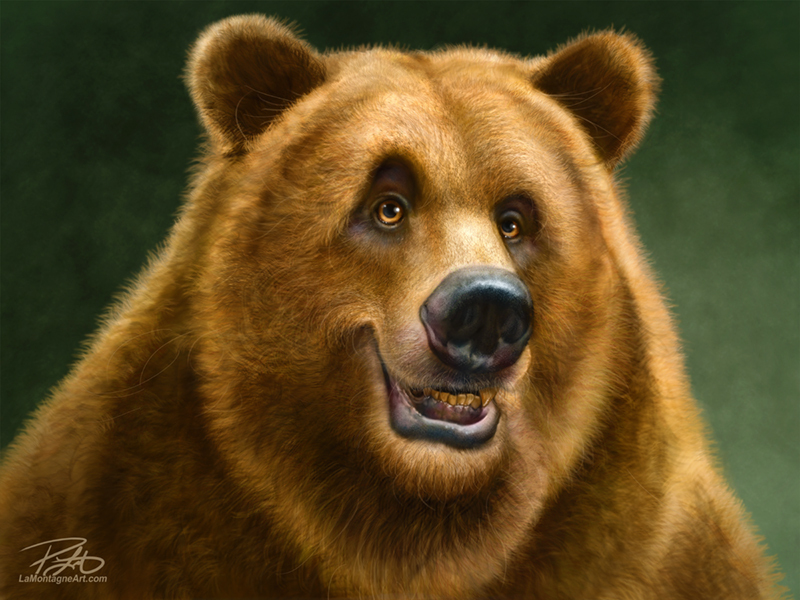 In late 2009, right around this time, I began work on my first whimsical wildlife painting, a Grizzly bear. By the time I walked into a gallery in Banff in Cascade Mall in January, I had three. The Grizzly, a Raven, and an Elk. The manager treated me well, the owners did not, and on a tip, I barely got my stuff out of there before they shuttered the store overnight a couple of years later. But it led me to a store in Canmore called Two Wolves, where the two women who owned it treated me very well. They ultimately closed up shop, but I learned a lot, they urged me to seek a license with The Mountain on T-shirts which turned into a nice four year deal and opened other doors. In Banff, when the first gallery closed, I sought out another and that’s how I ended up at About Canada retail gallery. We’ve had a very nice relationship for the past 7 years. It’s all been consignment, which means that I supply the prints; they pay me when they sell, and the cheques arrived every month without fail. Richard and Alison taught me a lot about the business, they offered helpful suggestions, delivered harsh truths, and were always willing to try something new. Initially, they just wanted mountain animals, but I convinced them to try some others. My Otter painting has been their bestseller for a number of years, followed closely by the Bald Eagle, neither of which is associated with these mountains. Because they had treated me so well for so many years, About Canada had exclusive rights to sell my work in Banff. It’s also the only place that sells my matted prints and canvas with consistent sales. The other is the Calgary Comic and Entertainment Expo in the spring. Earlier this year, they decided to retire from About Canada and put it up for sale. They had a large number of my prints and canvas on hand, and I authorized putting my stuff on sale with everything else. After a busy summer, it’s almost all gone. With that in mind, I’ve decided to make a big change. Many successful artists will stock up and hit the road, especially this time of year to do multiple gift shows and sell their wares. I know a few who make the bulk of their annual income at Christmas markets. If my funny looking animal paintings were my only income, I would likely be doing the same thing. Because of my editorial cartoon deadlines, I have to produce at least one cartoon every day, some days more than one. Following the news keeps me here, but since I dislike driving long distances, especially in the winter, working at home suits me well. Oh yeah, and I loathe Christmas. Bah, Humbug. With that in mind, I’ve chosen the licensing model. 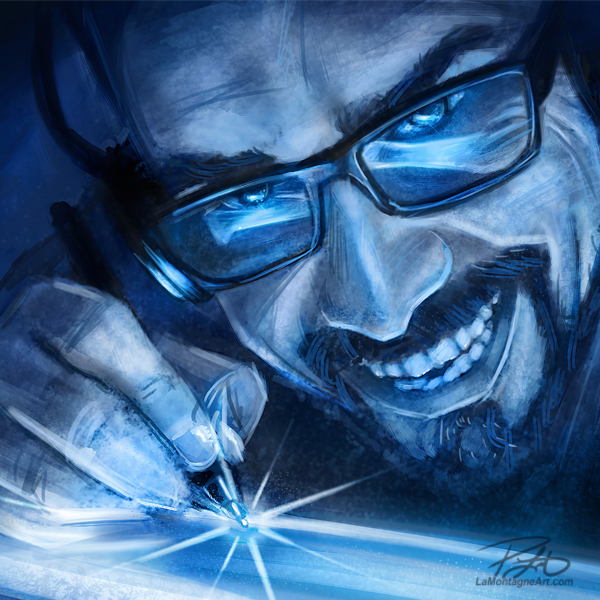 The artist creates the art, then signs contracts with companies who sell it on prints and other products. They do all of the work and promotion it takes to get the items into retail stores, on websites, produce the goods, ship them, invoice, collect and the artist just collects a cheque. If the artist is smart, he/she will never give up copyright and a reputable licensee won’t ask for it. All of my current licenses are non-exclusive on paper, but I’m careful not to sign with direct competitors. I’ve had a number of licenses for my work over the years with a few different companies. 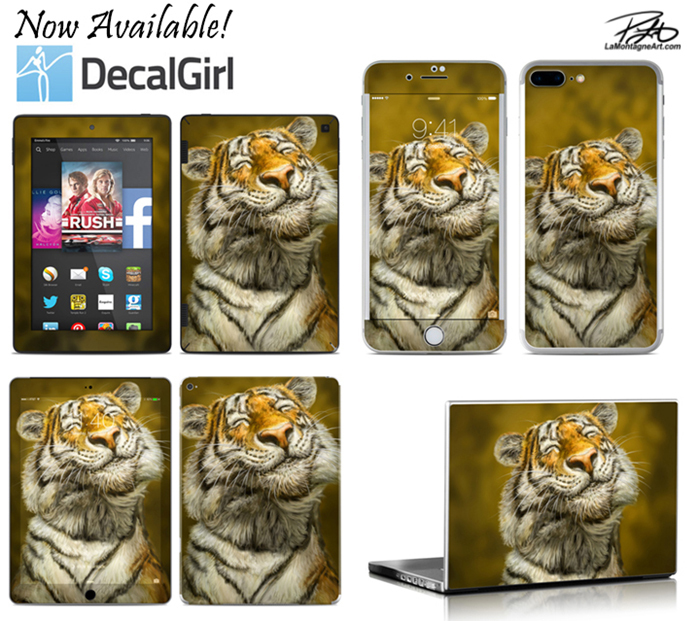 T-shirts, decals, phone cases, online art sales from multiple companies, and Art Licensing International currently represents me, based out of the US. They currently have 54 of my images out for licensing. Now you might be thinking “cha-ching!” but when I sell an item through a license, I get a very small percentage of that sale, anywhere between 5% and 15% at the high end. That’s also from the wholesale price, not the retail price. My licensing agent also takes a cut for any licenses they procure for me, so the percentage gets lower still. Why would I bother? Same reason I sell syndicated cartoons to weekly newspapers for a lower rate than I would a custom cartoon. The money isn’t made on one sale, it’s made on MANY sales of the same image. That first Grizzly is still one of my bestsellers nine years later. My licensing agent gets me deals I can’t get on my own. They have the connections, the professional sales people, the legal expertise, and the means to deliver. Through my agent, I recently signed a two year license for one image to a company in Spain for a nice flat fee. How would I ever get that on my own? I’ve seen one of my T-shirts on a Netflix show and Ozzy Osbourne was wearing one recently on TV. I have clients all over the world that I could not get on my own and best of all, it creates momentum. One license begets another and so on. Licensing is how artists get their work into Wal-Mart (and then retire!). So licensing is proving to be the model that works best for me right now, allowing me to create more work, while somebody else sells it. It is a long game, and one license can take years to bring in decent revenue, but that time will pass anyway and all I did was provide the images. As regular followers will know, I have two different printers who both deliver great products. 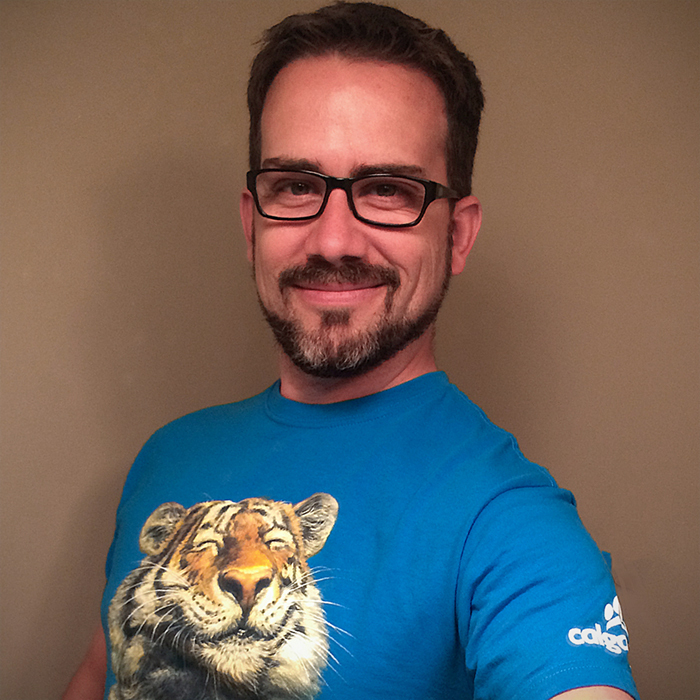 My digital prints are produced in Victoria from Art Ink Print and are sold at The Calgary Zoo, Toronto Zoo, Discovery Wildlife Park, the Calgary Expo and online. These aren’t on consignment. When I deliver to these places, it’s an immediate sale of product to the retailer. I’ll still be supplying prints directly to those customers. My canvas, giclée matted prints and acrylics are produced in Calgary at ABL Imaging and those are sold at About Canada in Banff and Reflecting Spirit Gallery in Ucluelet. Those are consignment sales, which I’ll no longer be doing. I have over thirty paintings currently in stock, and that’s expensive. To get a good price on prints, I have to order more than I need, so I have multiples of those images, with the backer board, mats, bios, and cellophane sleeves to go with them. I don’t mind telling you that at present, I have hundreds of prints in stock. They’re all neatly organized and inventoried, but they’re here, ready to deliver when there’s an order. They don’t expire and are well protected, so it’s an investment in future sales. Many of these prints won’t be sold until spring at Expo, especially now that I no longer have About Canada to sell the matted prints and canvas. When Shonna and I were on Vancouver Island, it was a business trip as well as a little vacation. We visited licensees, my printer, I took a lot of reference pics for paintings and I was on the lookout for more ways to sell my work. 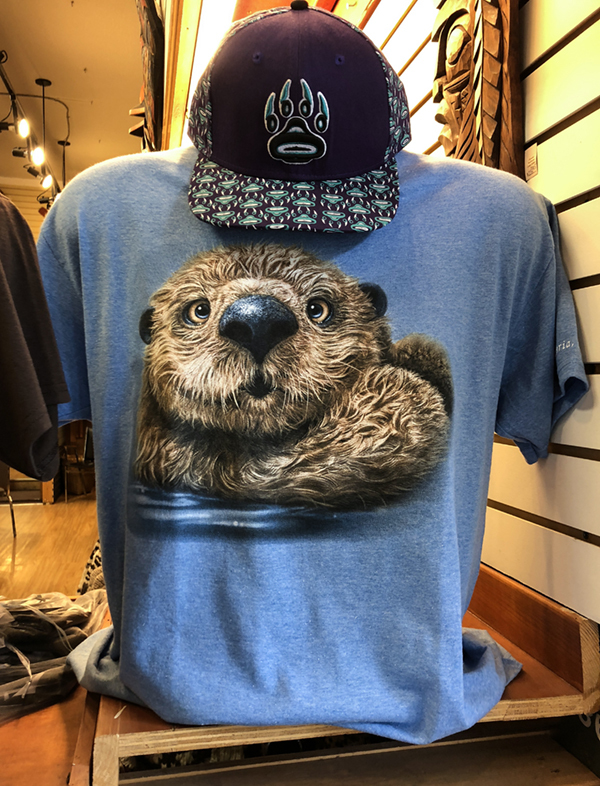 I saw my Otter T-shirt in a few stores in Victoria, which never gets old. I also saw lots of art from many talented artists. 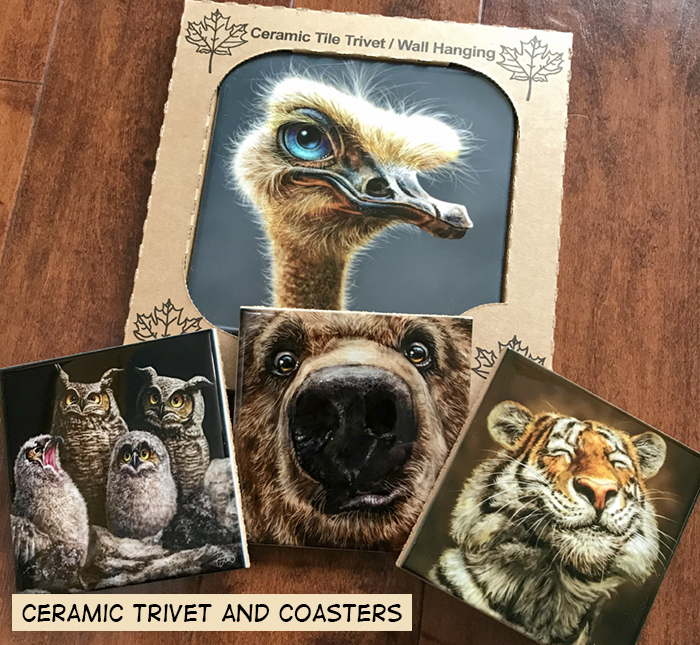 Art cards, magnets, trivets, coasters, and prints all with excellent printing quality, well packaged and presented. There were two companies that stood out for me and I took pictures of the information on the back of the cards for reference when I got home. The next time I stopped in to About Canada, I had a chat with Richard about the companies as he dealt with both of them. As he knew I was thinking of taking my prints in a new direction, he offered to send me their contact info, which I gratefully accepted. In fact, he sent glowing introduction emails to the two people and cc’d me on them. 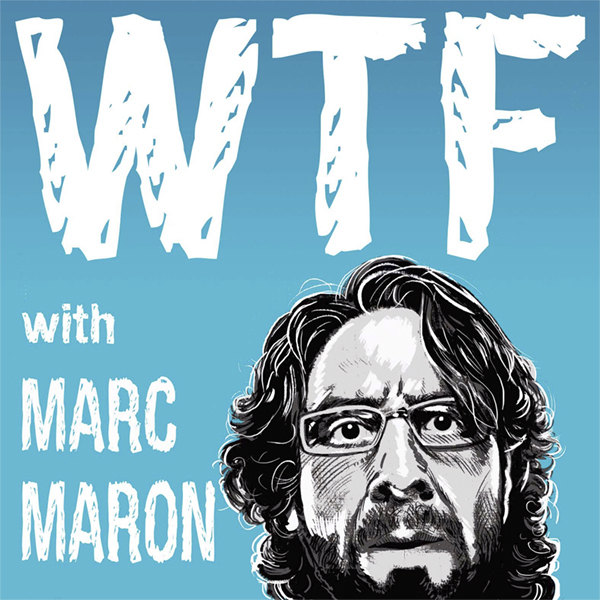 See why I liked working with these folks? Both companies contacted me and offered me contracts. Either would have been a good bet, I think, but after careful consideration and a long chat on the phone with the owner, I decided that Pacific Music and Art was going to be the best fit for my work. From here on out, things will change on the printing front. 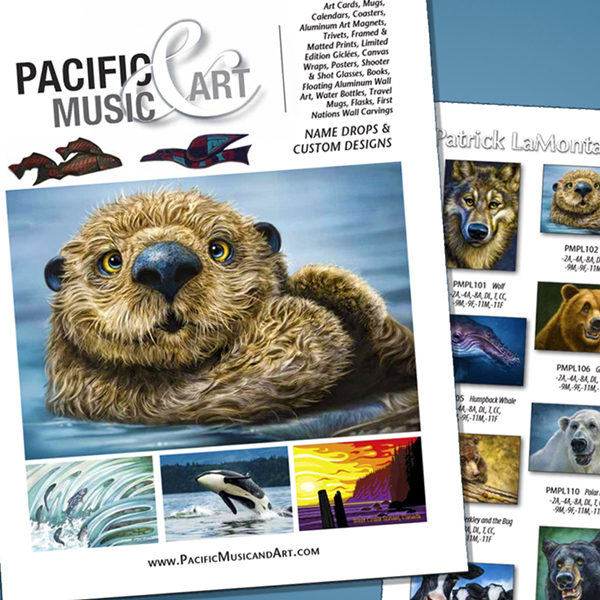 Pacific Music and Art will now be able to get my work into many more retailers in Canada and the US, with their sales reps doing the legwork to best represent my funny looking animals. For the reasons I’ve mentioned above, I just can’t create the work and meet my deadlines if I’m on the road going from store to store, building relationships with retailers, ordering and packaging the prints, shipping and delivering them, and doing all of the work that goes along with that. 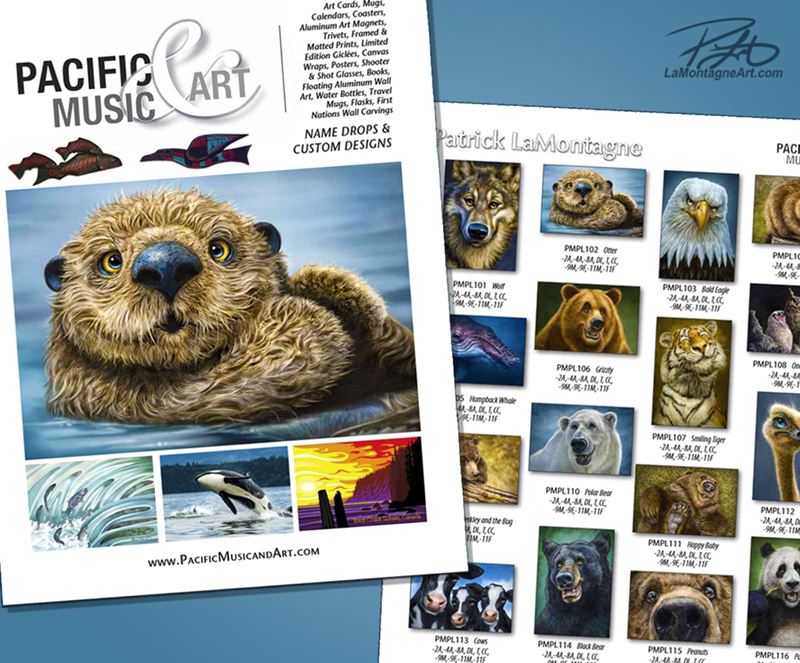 Through Pacific Music & Art, my work will now be available to retailers on aluminum prints and magnets, art cards and other paper products, coasters, trivets, coffee mugs and more. It’ll be introduced to hundreds of retailers that I would never be able to reach and I’ll have more time to paint and have less stock to buy. I am no longer bound by exclusivity in Banff, but my work will still be available at About Canada, in addition to other local retailers in Banff, Canmore, Lake Louise, and Jasper. Over the past few weeks, there has been a lot of prep work getting the first sixteen images ready. While the artist normally wouldn’t have to do a lot of the formatting and sizing work for all of the different products, I volunteered and was provided the templates. Sizing the paintings for the different products required cropping them, a little squeezing and squashing, and making sacrifices, especially when a square painting had to be put into a horizontal template. I would rather make those decisions than a designer unfamiliar with my work. I’m proficient with Photoshop, so it was time consuming, but not difficult. After a couple of very long days of prep, I uploaded over 165 images to their server. The fall catalog went live this week and my Otter is on the cover. I’m thrilled to be included among these well-known artists including Andy Everson and Sue Coleman. The owner, Mike, was driving through here on Friday, a combination business and personal trip. He was visiting local retailers and introducing my work to them, many of whom were already familiar with it as I’ve been in this valley for 24 years. 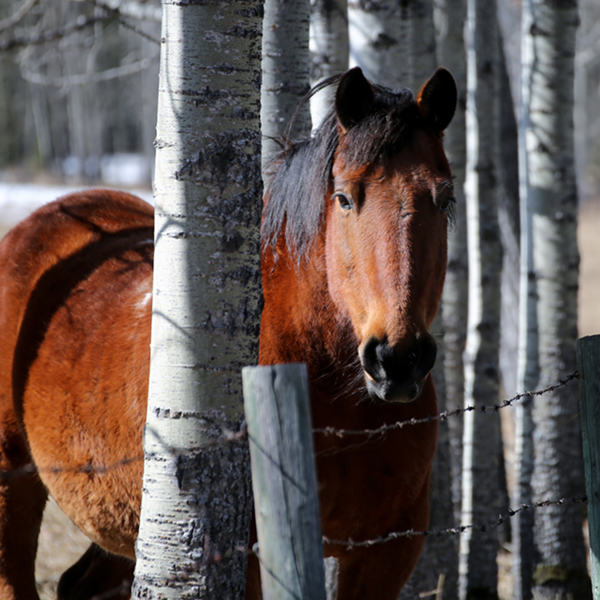 We met for coffee in Canmore late Friday and had an enjoyable chat for more than an hour. He’d brought samples to give to the retailers and his Alberta reps, and he told me to take what I wanted from quite a large selection. I had to restrain myself as I have more than enough of my own work in my house. 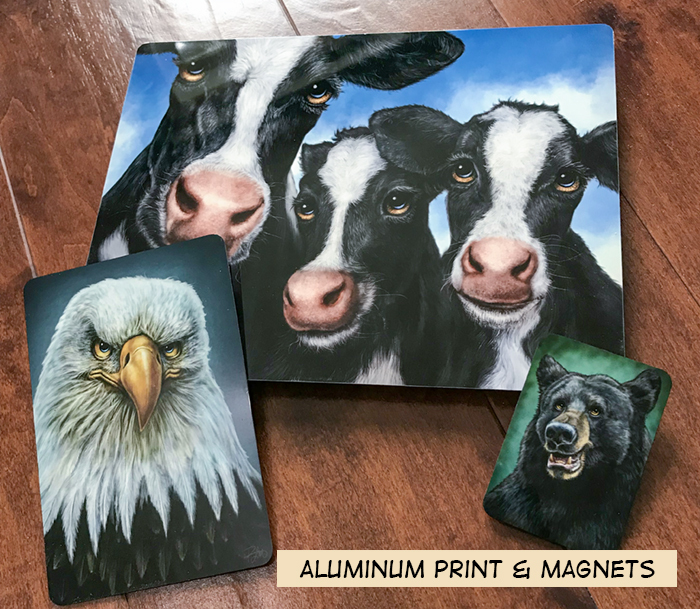 I settled on a couple of magnets, a few coasters, a trivet and a small aluminum print, along with the catalog. The quality of these items exceeded my expectations and I can’t wait to see them in stores around here, as he’s already got quite a few orders. One store on Vancouver Island took all 16 images. I’ve been at this art business for quite some time now and I try to temper my enthusiasm with healthy doses of reality and even cynicism, but I’m pretty excited about this one. It’s exactly what I’ve been looking for and will free up time and money to pursue new things and allow me to create more artwork. While it’s sad to see my relationship end with the owners of About Canada, I am grateful for the opportunity to see my business grow in a new direction. Without risk, there can be no reward and I’d rather fail reaching for something better than worry about keeping what I’ve got. Art Ink Print does my digital prints, Harlequin Nature Graphics is my T-shirt license and now Pacific Music and Art will be a major license for me, all of these companies are in and around Victoria, BC. Considering how much we love Vancouver Island, it’s amazing how many reasons we now have to go there.